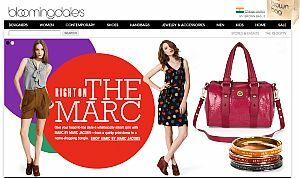 Upscale retail group Macy's Inc has extended its e-commerce services to reach India. Macy's Inc announced that two websites - Macys.com and Bloomingdales.com - will now reach 91 countries in Africa, Asia, Australia, the Caribbean, Europe, the Middle East, North and South America. This launch follows a pilot program that was conducted in Australia, Canada and the UK. "International shipping will enable Macy's to build upon its existing customer base beyond the United States by exposing our product offerings abroad," said Kent Anderson, president of Macys.com. "In 2010, non-U.S.- based shoppers accounted for 36 million visits to macys.com; the prospect of satisfying the demands of this consumer is an exciting business opportunity for us. It also provides Macy's with a global platform on which to build our reputation as a source for great fashion and value." Macy's has partnered with New York-based e-commerce solution provider FiftyOne to enable this expansion. FiftyOne will manage the international order life cycle, payment processing and logistics for the websites. The company also runs international ecommerce for retailers such as Barneys New York, Brookstone, Crate and Barrel, Drugstore.com, Johnson & Murphy, Sears, Shoes.com and Tilly's. The website currently offers categories such as mens, kids and womens apparel, contemporary fashion, shoes, handbags, jewellery and accessories, designer wear and home decor. The prices are in INR. Bloomingdales.com and Macys.com will not ship some products internationally due to varying shipping regulations, laws and global vendor partnerships across the 91 nations. Some of the categories that will not be available are - cosmetics, fragrances, furniture, mattresses, appliances and select accessories and apparel. The websites also do not support gift cards. Will this latest arrival affect the glut of e-commerce sites in India? Sites such as 99Labels, BagitToday.com, Fashionandyou.com, ThePrivateSales.com, Naaptol Club and Fetise.com offer high discounts on global brands in India. Local retail chains such as Globus and Bombay Stores have also set up e-commerce stores to tap the growing online shopping market.